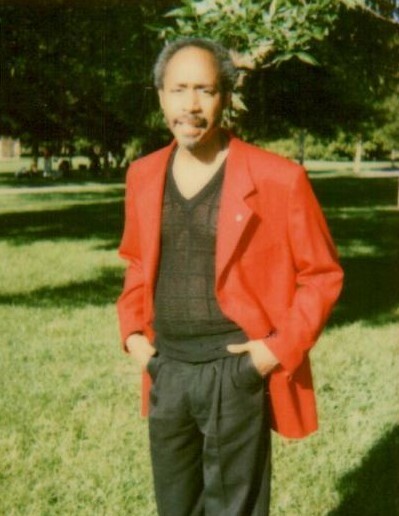 David McNeal, 67 of Zion passed away on Monday, February 4, 2019 at Vista East Medical Center in Waukegan, IL. He was born on February 12, 1951 to the late Louis and Margaret (Watson) McNeal in Chicago, Il. On May 15, 1991 married the former Margaret (Omni) Williams in Chicago, IL. David was a true sports fan. He enjoyed watching all sports, watching sports news and reading about sports in the paper. He also enjoyed relaxing and watching T.V. David is survived by his wife Margaret (Omni), his children: Lisa Thompson Marshall, Ushanda Goodloe, David McNeal and Andrea McNeal, his Foster Mother Hattie Meeks, his sisters; Valerie Meeks and Jeri Alexander, his brother Marcus Meeks along with a plethora of grandchildren, great grandchildren, nieces and nephews. He was preceded in death by his parents, and his brothers Steven McNeal and Hiriam Carter. Visitation will be on Friday, February 8, 2019 from 11:00 A.M. to 1:00 P.M. at Warren Funeral Home located at 1475 N. Cemetery Rd. Gurnee, IL. Services will be on Friday at 1:00 P.M. at the funeral home. Dr. Rev. Gerald Wilcoxon will officiate.